The California state Senate on Monday passed a bill crafted to protect against smartphone theft by requiring manufacturers turn on a "kill switch" when a device is first activated, something Apple currently employs in iOS as an opt-in feature. California's legislative push to require so-called "kill switches" of smartphone manufacturers moved closer to becoming law, as a bill passed through the Senate with a final tally of 27-8, reports The Wall Street Journal. The state's governor, Jerry Brown, has 12 days to sign the bill into law. State Sen. Mark Leno (D-San Francisco), who introduced the bill, believes the effort will help discourage smartphone thefts, a problem grown pervasive in some major metropolitan areas. According to the publication, California's initiative differs from similar legislation up for consideration in other states like New York in that it places an onus on manufacturers to have the security feature activated during initial device setup. California's bill is joined by a federal anti-theft proposal called the Smartphone Theft Prevention Act, which would require all cellphones sold in the U.S. to include free kill switch technology. The proposal was introduced to Congress in February. In April, Apple joined Google, HTC, Huawei, Microsoft, Motorola, Nokia and Samsung, as well as all five major U.S. cellular providers, in supporting the CTIA's "Smartphone Anti-Theft Voluntary Commitment." The CTIA program is also opt-in, however, which Sen. Leno says is not enough to thwart the growing "epidemic" of smartphone thefts. For its part, Apple already incorporates a remote locking mechanism into iOS with Find My iPhone, which uses an app and iCloud service connection to track, lock, disable and wipe data from an iPhone iPad or iPod touch. 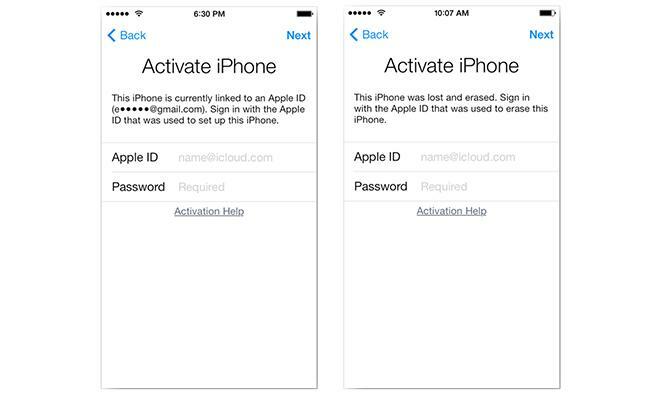 The most recent enhancement to Apple's security system came with the inclusion of Activation Lock in iOS 7. Rolled out alongside new Find My iPhone password policies, the feature provides an extra layer of protection for users whose device was recently stolen. When enabled, the system prevents thieves from signing out of iCloud or erasing and reactivating the device without first entering preset credentials. Stripping away the ability to disable iCloud and restore the phone as new could dissuade theft and, in cases when an iPhone has been stolen, improve chances of recovery.